Conrad (8yrs. old) as a Lego Skeleton boy. Costume made by Conrad's dad. 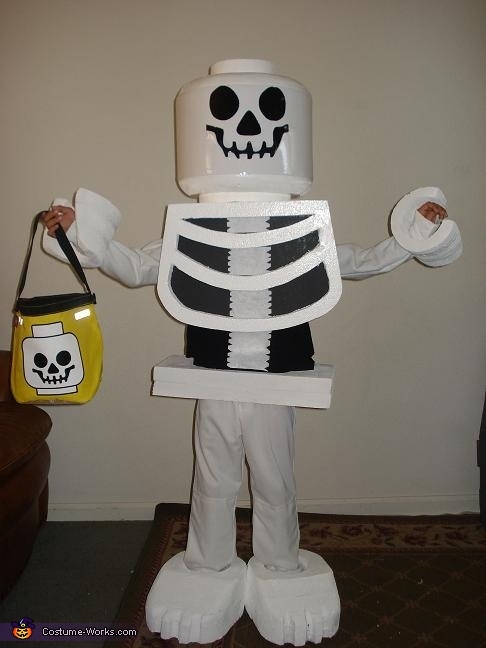 Check out other great Lego costume ideas in our Lego Halloween Costumes gallery. how in the world did you do this, its VERY cool. hints please, on how you made this from the shirt underneath to the rib body part , to the feet to the head. this is so cool and my son REALLY wants me to make it for him, so some help and hints would be awsome thanks. This costume is AWESOME! My son saw it and said "that's the one for me this year mom!" I am very interested in knowing how you did the head and styrofoam parts... need some tips! I am the creator of this costume. it will be listed on ebay in a few days as my son outgrew it. i have over 50 hrs of work invested. Matt when r u selling this? How old was ur son when he wore this? He was 8. I will be listing it this coming week . Head, body, hands and feet . Ok I'll def be on look out! 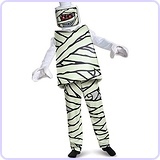 Have u listed the costume yet? Hey Matt I didn't see ur post. Which city are listing it under on Craigslist? How much are u selling it for? what my 5 year old son asked me to make. create his. The costume is very well made! Please post instructions on making the lego head. 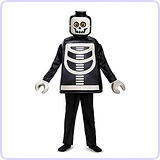 I have 3 boys that want lego minifigure costumes but no stores sell them yet! i came up with a scale and computed the rest of the actual measurements, then cross checked to make sure he would fit into the components. This is really cool, has anyone made this and was it hard? Please help me comprehend how the head is made. 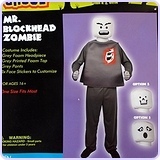 Do you still have this costume??? I'd love to buy it. Please let me know. Haven't had time to list it. It stays in my closet bagged up! !